Great location! You can walk all around, everything is nearby. Excellent service! Taylor went out of her way to help us out by ordering pizza for us since we had no dinner and we would arrive 3 hours after our actual arriving time since the street was closed. Where to find Aspen hotels near an airport? Where can I find hotels in Aspen that are near tourist attractions? Organizing a visit to Aspen and hoping book a accommodation in Aspen? Expedia's network of hotels offers approximately 17 hotels within a short drive of the downtown area. Within a 0.6-mile (1-kilometer) radius of the town center, visitors will find a selection of Expedia-listed hotels, like the Gant - Aspen and The St. Regis Aspen Resort. Aspen is known for the Aspen Mountain. 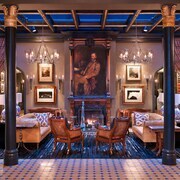 The Gant - Aspen and The St. Regis Aspen Resort, are within a short walk of Aspen Mountain. 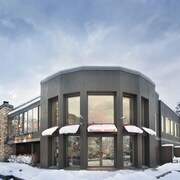 The Inn at Aspen and the Aspen Meadows Resort are close to the Aspen Highlands. 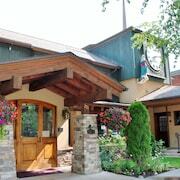 The Inn at Aspen is 2 miles (3 kilometers) away and the Aspen Meadows Resort is 2 miles (3 kilometers) away. 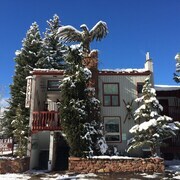 The Little Nell and Limelight Hotel Aspen are handy options should you decide to book accommodation near Mill Street Fountain. The Innsbruck Luxury Condominiums Aspen and Residences at The Little Nell are within walking distance of Wheeler Opera House. Accommodations close to Isis Theatre, include Sky Hotel, a Kimpton Hotel and St. Moritz Lodge & Condominiums. Hotels nearest to Wagner Park, are the Hyatt Grand Aspen and Molly Gibson Lodge. 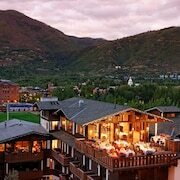 The Viceroy Snowmass is situated 7 miles (11 kilometers) from the middle of Aspen. Alternatively, the Laurelwood, A Destination Residence is located 7 miles (11 kilometers) away. Alternatively you could check out the rates and amenities at the Westin Snowmass Resort or the Holiday Inn Express Snowmass Village. If you are inspired to see more of the mountains and snowfields that are a big feature in this part of the world, you might also spend a few nights in other places in Western Slope. Spend time snowboarding and skiing or visit the region's visitor attractions. Suitable hotel options are available. 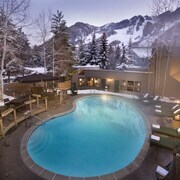 Another place to stay is Snowmass Village, which is 7 miles (11 kilometers) to the east of the center of Aspen. It is home to the Snowmass Ice Age Discovery Center, Snowmass Rodeo Grounds and Anderson Ranch Arts Center. 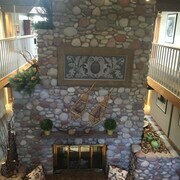 Snowmass Village places to stay include the Aspenwood, A Destination Residence and Pokolodi Lodge. Pitkin County Airport is situated 3 miles (5 kilometers) from Aspen. Visitors who wish to stay nearby, you can easily secure a room via Expedia at the St. Regis Aspen Resort or the Limelight Hotel Aspen. What are the most popular Aspen hotels? Are there hotels in other cities near Aspen? 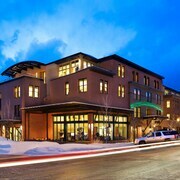 What other types of accommodations are available in Aspen? Explore Aspen with Expedia.ca’s Travel Guides to find the best flights, cars, holiday packages and more!